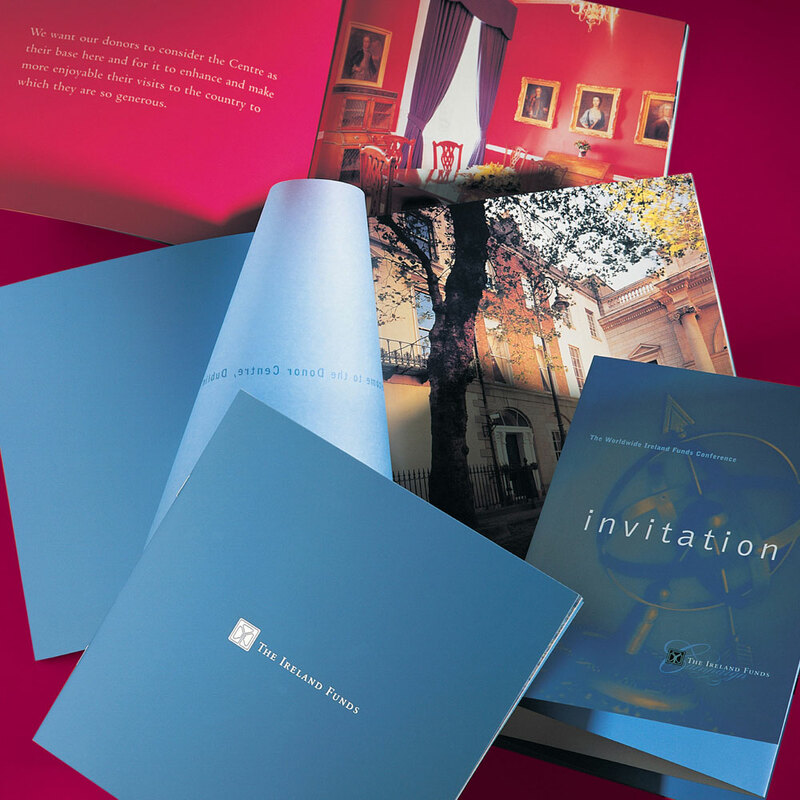 The invitation for the Worldwide Conference of The Ireland Funds won a Design for Print Award, jointly run by BPA and The Irish Marketing Journal. Also shown here is the brochure for the former Donor Centre in Dublin. 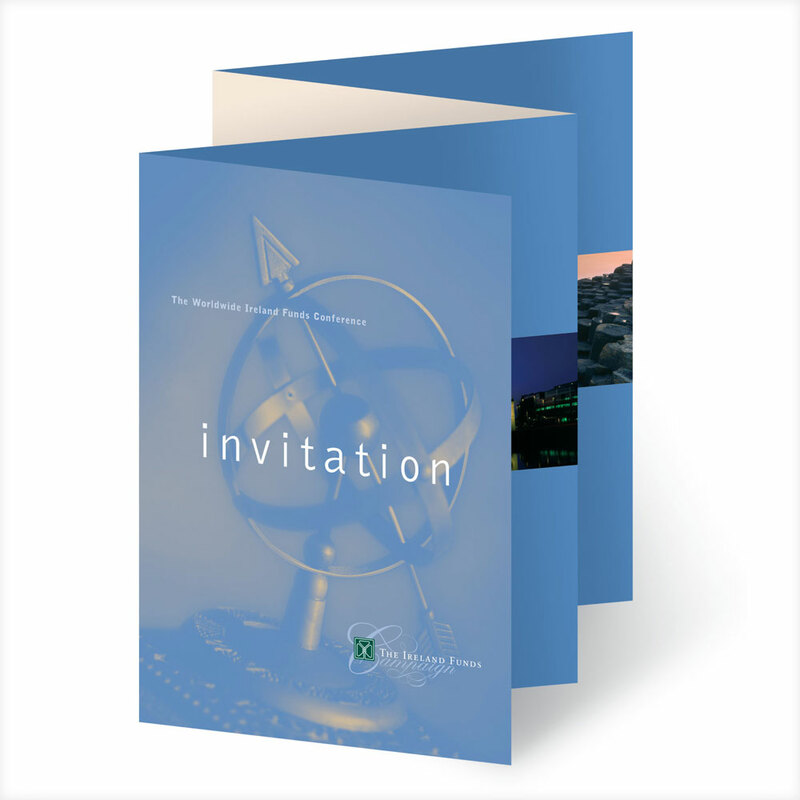 The Ireland Funds are a global philanthropic network currently operating in 12 countries. The Promising Ireland campaign is a philanthropic initiative to raise much-needed assistance for charities from among the The Ireland Funds global network. The campaign has provided support to hundreds of charities whose work is vital at a time of intense social need and diminished resources.